When monsters start attacking Ravenswood looking for Donovan, the mages realize he may be trouble. 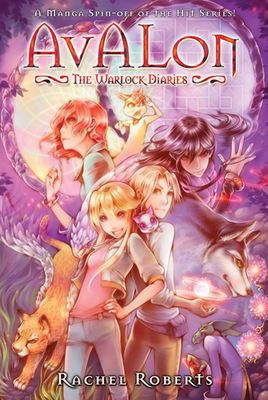 However, Donovan holds a fairy map with a portal sequence that could lead the mages right to Avalon, the source of all magic.With the prospect of finally finding Avalon in their grasps, the girls try to work with Donovan towards their common goal, if mage and warlock magic can mix without putting all of Ravenswood in terrible danger! Shiei is the artist for Aoi House. She is the most prolific Original English Language manga artist in the US, having completed 3 volumes of Aoi House and 4 volumes of Amazing Agent Luna so far. Shiei resides in Southern California.